All CommLab employees have been easy to deal with and very responsive. What do you like best? We agree on cost and schedule before beginning a project, and CommLab always completes the project on schedule, at the agreed cost. What do you dislike? No negative issues to report to date, all expectations have been met by CommLab. What do you like best? Adherence to deadline and quality of services was good and also the design part! What do you dislike? Acceptance of customer requirements and be more flexiable in adoptating those changes! What do you like best? They have demonstrated commitment and team work. They are easily approacheble in case of any issues, they take our feedbacks and concerns and come out with a simple and straight solutions. Togeter they strive to achieve the goal and very supportive. What do you dislike? We expect more creative solutions and improved on time delivery from CommLab. CommLab India is very responsive and easy to work with. What do you like best? The management team and staff. They understand our needs and execute them effectively. What do you dislike? If anything, probably the cost of some projects. Other than that I really have no dislikes. Great services, they exceed my expectations everytime. What do you like best? The personal service that the team has. The fast response and that they really listen to what my needs are. What do you like best? Commlab is my most customer-oriented service provider. Learning development can sometimes take much back and forth, and Commlab is patient and always open to feedback. Never has anyone on the team said anything negative, when frequently we are the bottleneck. What do you dislike? Not much really, but being based in the US sometimes we may have some scheduling challenges due to time zone. But even then, the team is very accommodating. What do you like best? Our project needed a vendor that was training focused. We interviewed a number of larger firms that showed little to no interest in the training piece of this project. CommLab India came in with a direct focus on what we needed to achieve and made that happen on time and on budget. What do you dislike? Since we are US-based it was the time difference and sometimes the language barriers, but in the end that was easily manageable. What do you like best? Ayesha and team have an in depth understanding of the digital learning space. They did a lot of hand holding with us since we were new to the space. they hve a talented and dedicated team to support them and are always available to support. The personal touch that they give to the work is phenomenal. The pricing above all is very reasonable. The involvement that they bring to the table makes them stand out. What do you dislike? Nothing at all, no room for complaint left by them . I don't know why you need 75 characters for this comment on people who leave no stone unturned to keep you happy. They develop a series of elearning courses for us. What do you like best? The courses they create are visually appealing and engaging. They are responsive and easy to work with. What do you dislike? There's not really anything I dislike. Maybe sometimes we get material later than expected. They could maybe let us know in advance if they cannot make a deadline. What do you like best? Great organization, communication and eye for detail. The team we worked with at CommLab went above and beyond for the project and pointed out discrepancies and minor details that other vendors would have missed. What do you dislike? There is a very minor communications boundary due to time differences, but if worked correctly can be leveraged to work very well. Commlab helped us with some educational tools for online learning. What do you like best? Working with the Commlab team is incredibly easy. They are professional and responsive and they really know what they are doing. Their prices are very competitive as well. Good competent, human team with very good results!!! What do you dislike? Sometimes the Communication is not easy but this is more or less because of the distance. Great.Found them as effective and reliable. CommLab has a great team with great attitude & commitment level! What do you like best? Team strives to meet the expectations and pricing is good. What do you dislike? Yet to see some dynamic work & better graphic design which is the requirement of the Media industry I come from. Overall great experience working with them. Great service, products and delivery. Best value. What do you like best? Personal service . Swift and easy to work with. Sees the big picture. I work with CommLab as a partner to our eLearning development projects. What do you like best? CommLab is responsive, solutions orientated and provides quality work. They are staffed with well rounded and experienced individuals on their project team internationally. Cost effective e-Learning training modules delivered on time. What do you like best? Responsiveness, and the ability to work with tight timelines when needed. Very quick turnaround time due to the efficient development process and time differences. What do you dislike? Lack of consultative capability at the time. I would like them to build out this capability in the future. What do you like best? Excellent people. Excellent quality. Ecellent prices for the quality. What do you dislike? Nothing, really. What do you like best? They were willing to work and learn with us. It was a complicated subject and its still one of the best pieces of learning we outputted. CLI is a top-notch training solutions provider. What do you like best? The best thing about working with CommLab India is knowing that the experience they bring to the table is above and beyond what you would experience with other eLearning companies. You know that if an issue arises or you come across a technical road block, you have the best team to resolve the issue or to help find an alternative solution. What do you dislike? Initially it was the time difference but adapting your schedule quickly resolves this issue. There are a few time where it would be nice to be able to have an answer during your own business hours but most clients are fine receiving an answer the next morning. What do you like best? The people and their willingness to work to provide a quality product. What do you dislike? Their QA process is in need of improvement.  Suzanne G. — Owner, Contract Instructional Designer, Performance Experts, Inc. Very professional and always submit quality work. Its a pleasant experience, they have delivered the modules as promised! What do you like best? The team is motivated & willing to help visualize & accommodate ideas/suggestions coming from us. Professional in their approach. What do you dislike? Nothing specific. What do you dislike? Sometimes quality during the different iterations is insufficient and previously corrected issues are poping up again. This extend the review time on our site and sometimes leads to more iterations and longer time to finish the project -> no meeting the deadline as previously agreed. Very flexible, fast and good response. Daniel F. — Just do it. Very commendable and focused on building a partnership. What do you like best? Customer Focus and very responsive. They understand our business and deliver. What do you like best? They're flexible and happy to change things part way through if the business need changes, and will make suggestions on how we can improve the offering. What do you dislike? Nothing really, but if I had to pick something it would be that sometimes their review times are too short for us to accommodate. What do you like best? Great company to work with! What do you like best? Their throughput is big. Their quality keeps good, but they are still impacted by workload, if you give too much jobs to them in a short term, their quality will go down. learning experience for us, indeed. What do you dislike? please focus on quality analysis and take care of deadlines. Very professional, highly conscientious and understand customer needs. What do you like best? Commlab India has a very rigourous, systematic approach that is on par with leading MNC's around the world. Very satisfied with the output produced by them. I believe that if they were to be assessed under the Capability Maturity Model Integration, I expect that they would achieve a Level 5. What do you dislike? There is nothing I dislike about Commlab India. What do you like best? Attention to detail, Quality of content and Layout design. First rate company in every way. What do you like best? Client interaction and total support Willingness to get involved with all levels of an organization Quality of finished product Ability to globalize the offering - multi lingual People, quality, timeliness and engagement with the business. 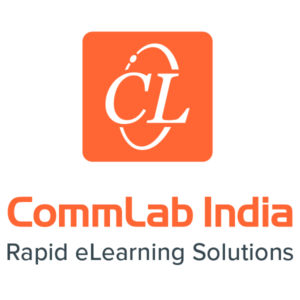 CommLab India has been a valuable extension of our learning organization. What do you like best? Working with the team is an enjoyable and very easy experience. They are responsive, knowable, and very supportive. What do you like best? Great team of very professional experts, able to customize their offerings at a very competitive price. Very trust worthy and honest company. They are good at what they do. What do you like best? Fast turnaround with attention to detail. they have a very patient team who go out of their way to satisfy the client. What do you dislike? The prices are too low!